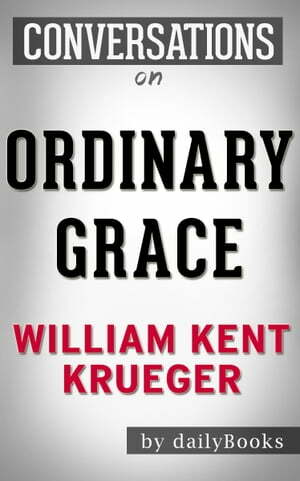 Collins Booksellers - Conversations on Ordinary Grace by William Kent Krueger by dailyBooks, 1230001216981. Buy this book online. When Frank Drum’s family moves to New Bremen, they have no idea what heartbreak lies in the future for them. In the summer of 1961, the town sees five deaths, one of them being a member of the Drum family, Frank’s sister. The different ways the family members and community deals with the deaths brings forth the issues and concerns of the times vividly. The book raises questions about racism, war, mental illness, forgiveness, and faith. One question that many believers struggle with is why God lets bad things happen to good people. Ordinary Grace is the journey of that question, and some people might find some answers. Disclaimer: This book you are about to enjoy is an independent resource to supplement the original book, enhancing your experience of Ordinary Grace. If you have not yet purchased a copy of the original book, please do before purchasing this unofficial Conversation Starters.